Working class Edwardian men still had the misfortune of affording only second hands clothes or very cheap ready-made clothing. Men worked hard labor six days a week for 52-60 hours in factories, railroads, mining and farming operations. New immigrants may have been given uniforms or clothing as part of their new employment (which they had to pay off at outrageous rates.) Some men picked through trash in wealthy neighborhoods looking for and repairing discarded clothing. 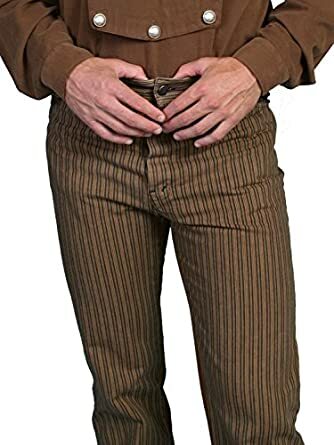 Since most men’s clothing was made of heavy wool, cotton and corduroy the lifetime use of a garment could be ten or more years. When an item was no longer repairable the fabric could be put to pieces and made into hats, ties, vests and other smaller items. Nothing was wasted during an expensive and difficult time. 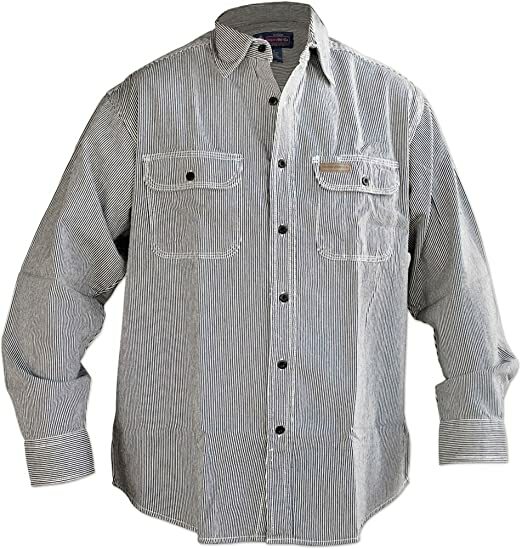 Men’s workwear clothing had to be durable, dark, and loose enough to accommodate freedom of movement. There was little emphasis on the style of clothing as long as it was practical. Being second hand, the Edwardian era styles were based on looks from the late Victorian and early 1900s with minor modifications and repairs made throughout their lifetime. The fit of men’s Edwardian working-class clothing was always poor. Pants were held up by suspenders or a belt pulled tight. Jackets rarely matched. 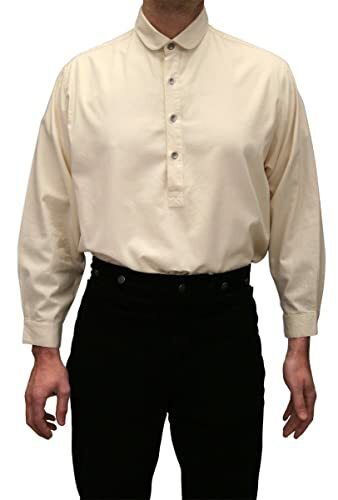 Shirts were always soft collared or collarless. Clothing was rarely washed and always dirty. Middle-class men or men in management could wear attached white collars and ties and differentiate themselves from their lower class co-workers. Hence the term blue and white collar workers. Read more about 1910s upper class clothing. Service workers (chauffers, bell boys, chefs) were provided new or slightly used uniforms (that they sometimes had to pay for.) Gentlemen were the only ones who could afford to be impeccably dressed. 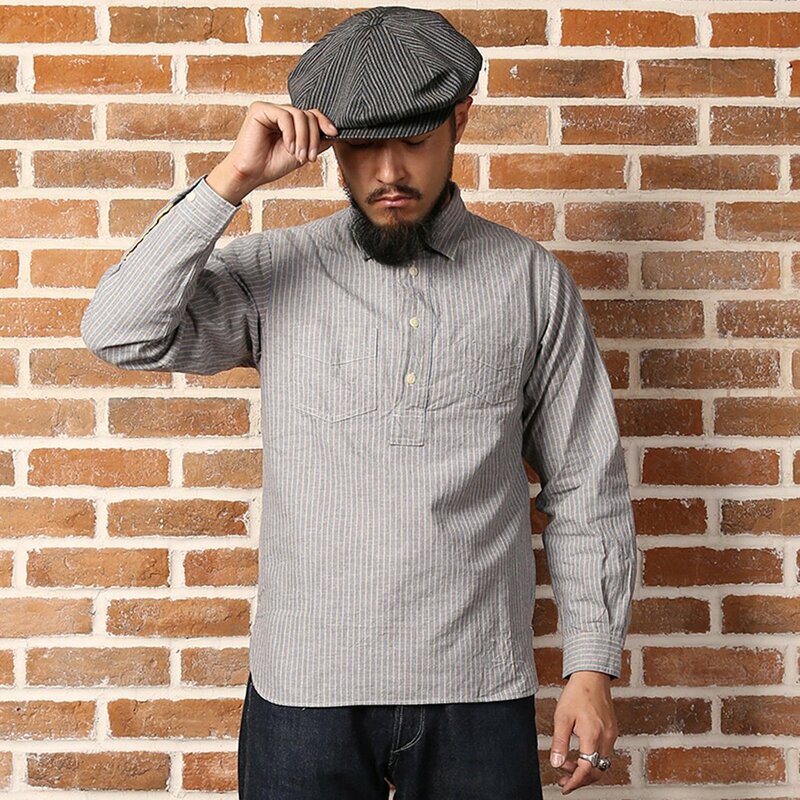 Often the only distinction between upper and lower class clothing was the material and fit. Middle-class men in “business” did their best to dress the upper-class part but usually failed either by buying cheap clothes, wearing outdated styles or breaking fashion etiquette rules. 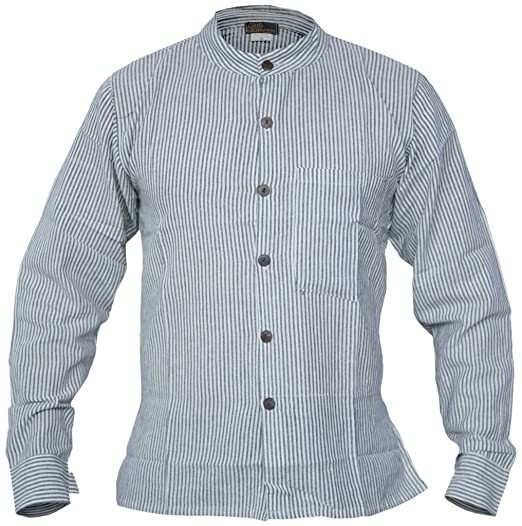 Men often wore these same clothes after work, saving their best clothes only for church and special occasions. Most men except the extremely poor owned a suit to wear on Sundays, holidays and special occasions. 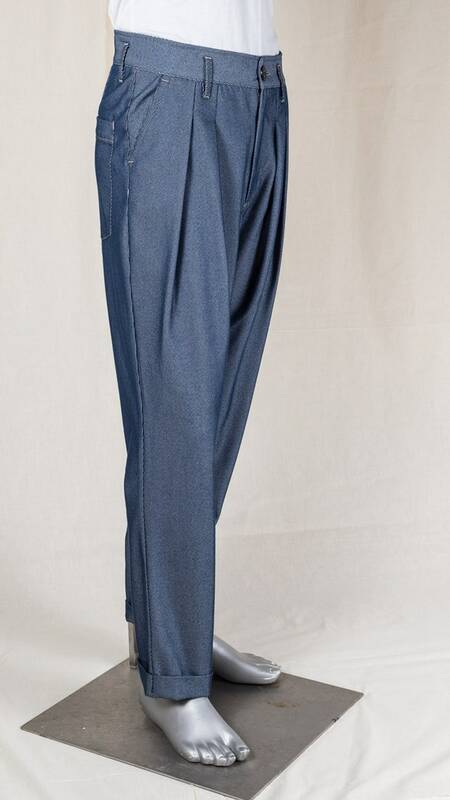 Since they were second hand or poor quality the fit was never tailored. Loose, mismatched and showing evidence of home mending, the suit jacket was the nicest thing they owned but a far cry from gentlemen’s attire. 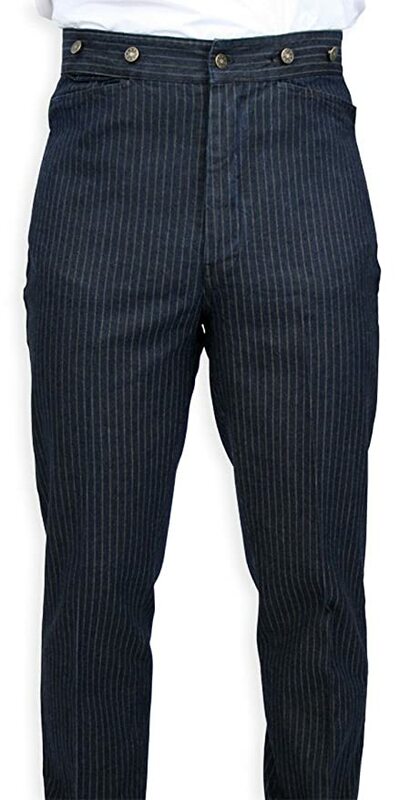 The suit was often in a style that was 5-10 years old, and in dark colors. 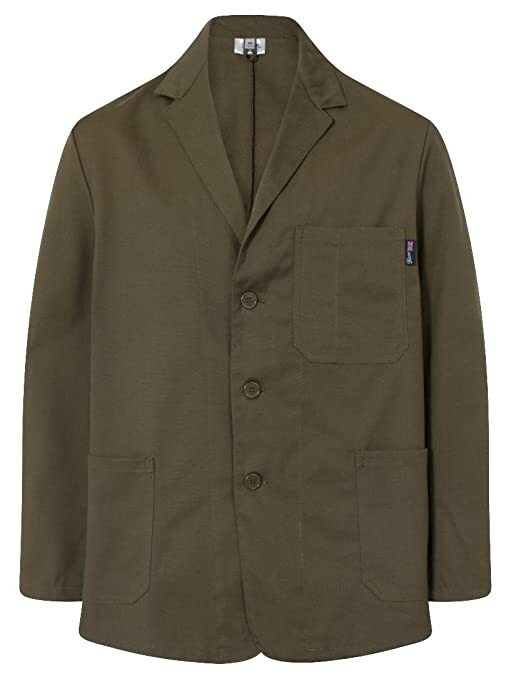 Once a jacket became unacceptable for Sundays a man would use it for this everyday jacket. For very special occasions like a wedding or portrait, a poor man would borrow a suit from a wealthier man or purchase a used suit at a second-hand shop but sell it back the following week for less than his initial purchase. Unless they were provided with uniforms, working-class Edwardian era men needed clothing that was strong, sturdy and durable. 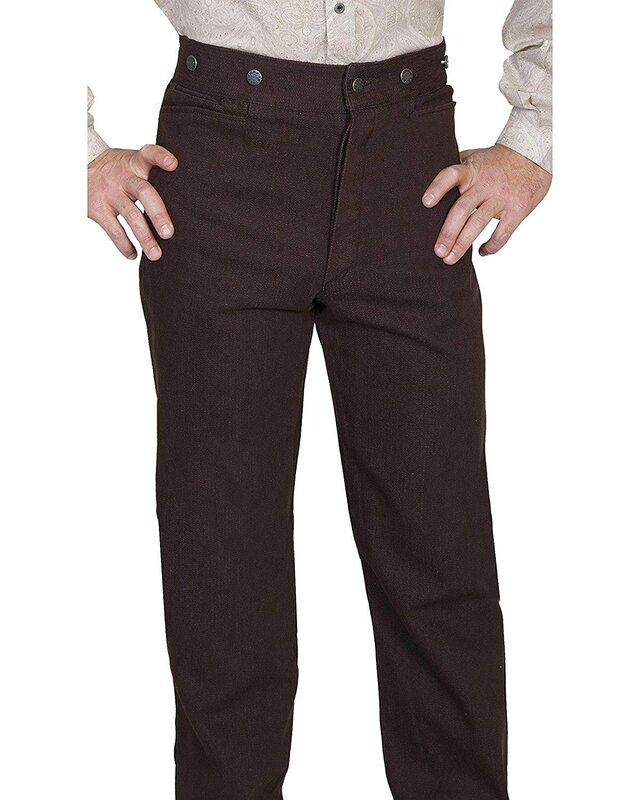 Two pairs of trousers, 2-3 shirts, a vest, a light jacket, a heavy jacket, one or two caps, suspenders or belt and a pair of boots would have been a decent wardrobe for a working-class man. 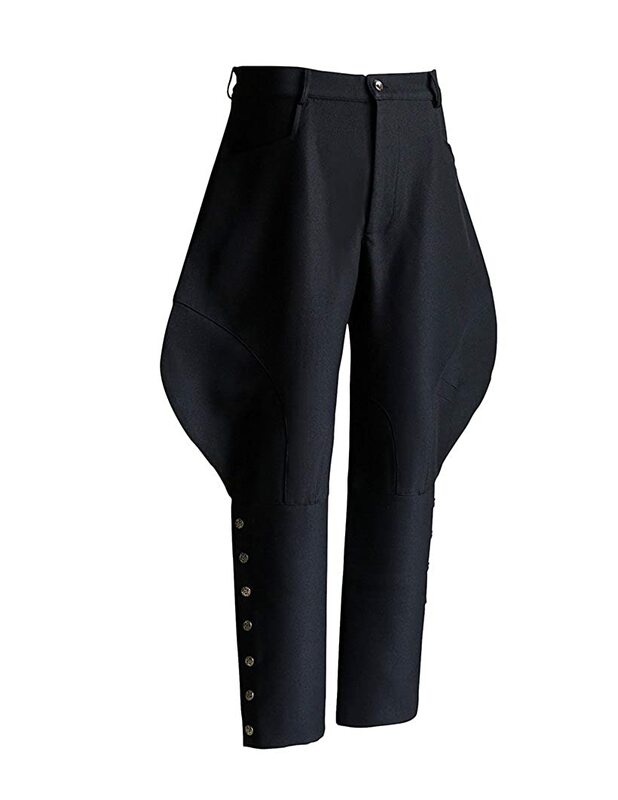 Men’s workwear pants fit loose around the stomach with a full thigh to a tapered leg. Maximum movement and comfort were important in labor-intensive occupations. 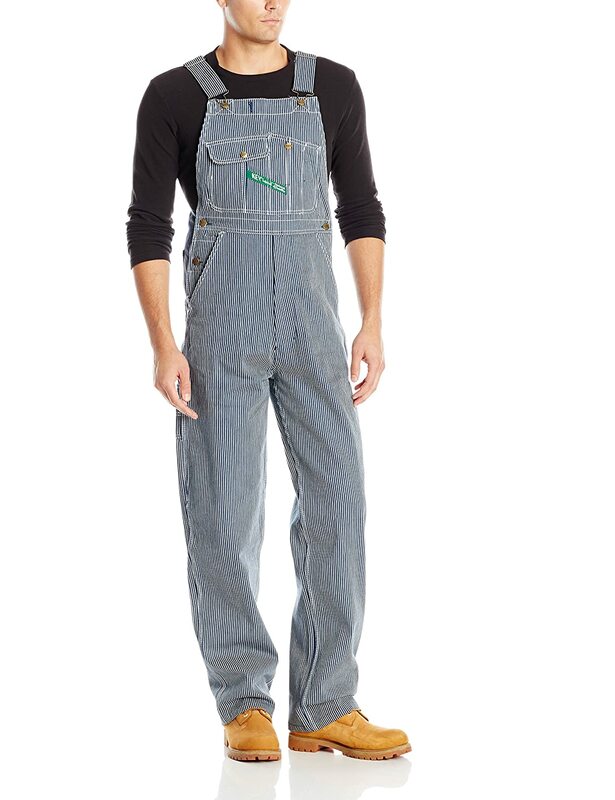 Wool tweed, corduroy, cotton drill, and duck cloth made up men’s work pants with denim also for overalls and some pants (Levi’s were worn out in the “wild west.”) Matching jackets were purchased with pants or overalls. 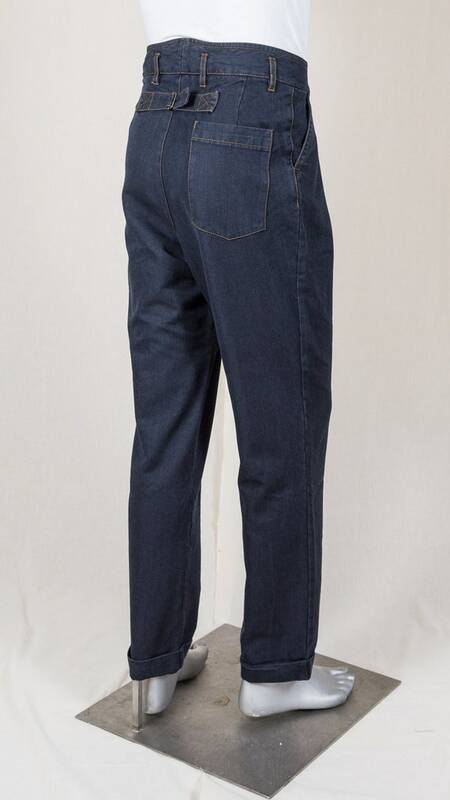 Many had large patch pockets to hold tools. 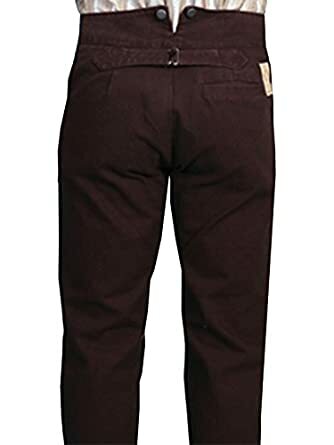 1918 men’s work pants – $3.25 is about $60 is today’s USA currency. 1916 men’s working class outfits – pants, suspenders, soft collar shirts, cap, and jackets. 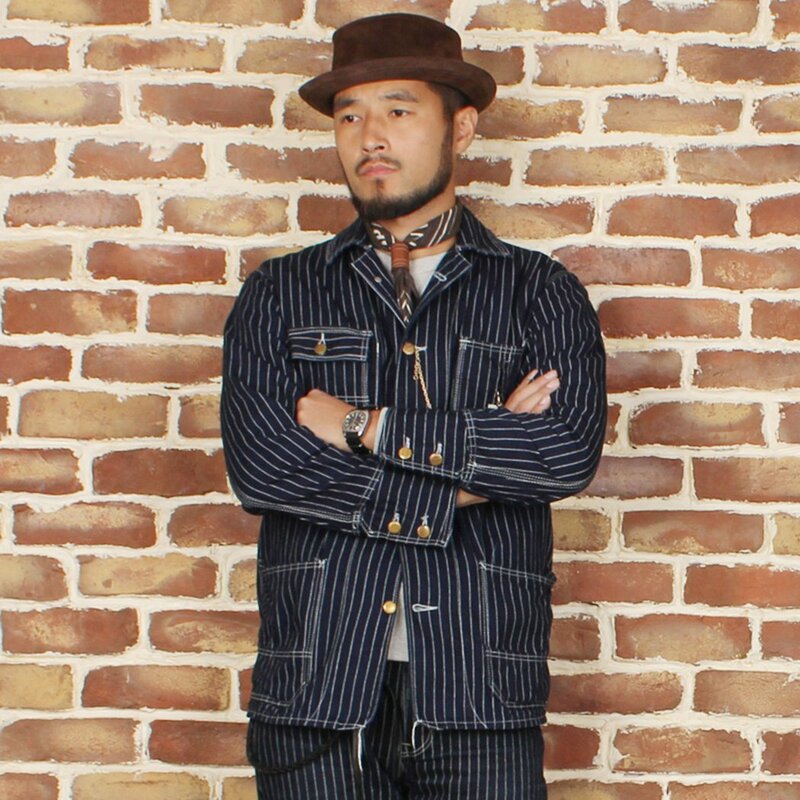 Man on the right wears denim striped overalls with a jacket. 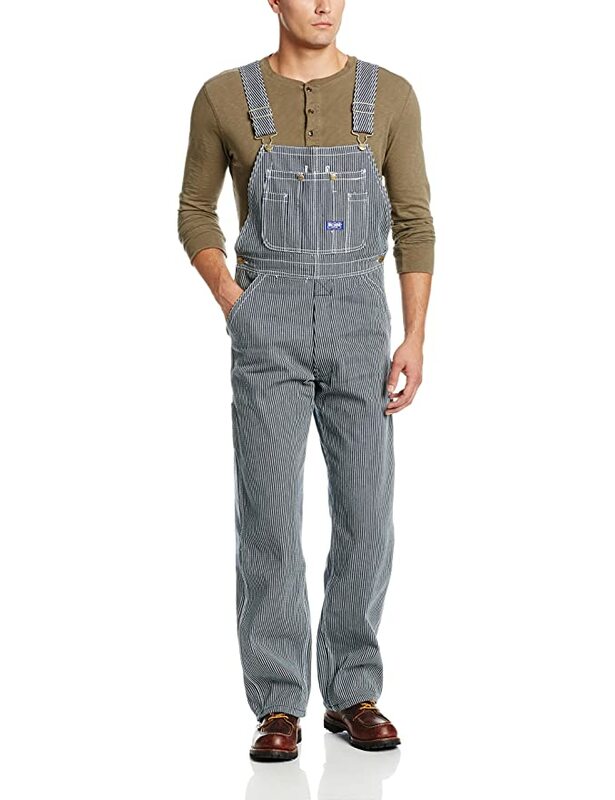 Work pants had to be held up by button-on suspenders made of striped cotton webbing. 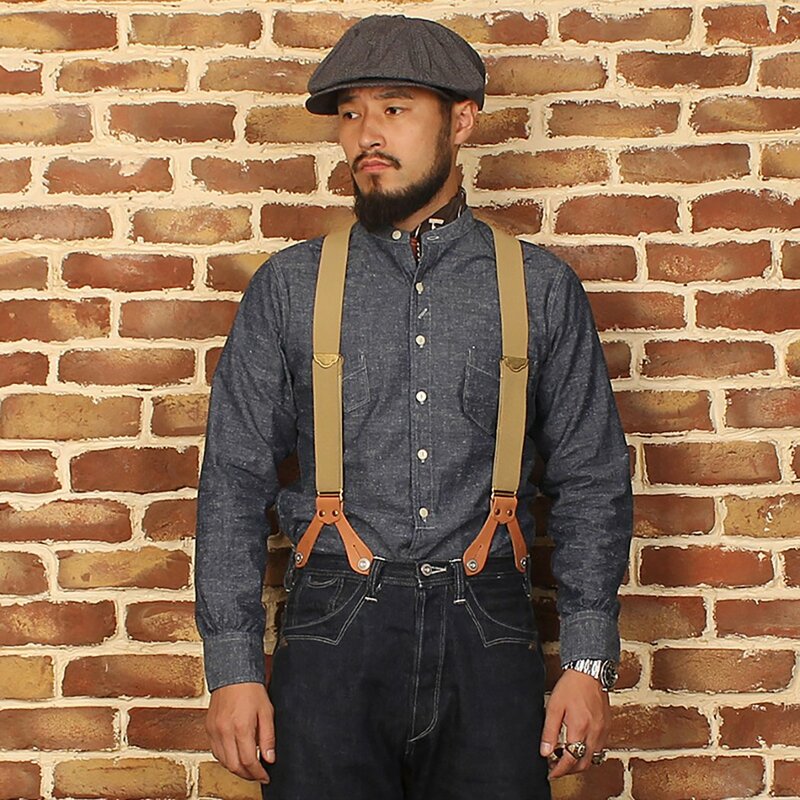 Belts were available in the later years and were preferred by men in the summer who went without a vest or jacket. 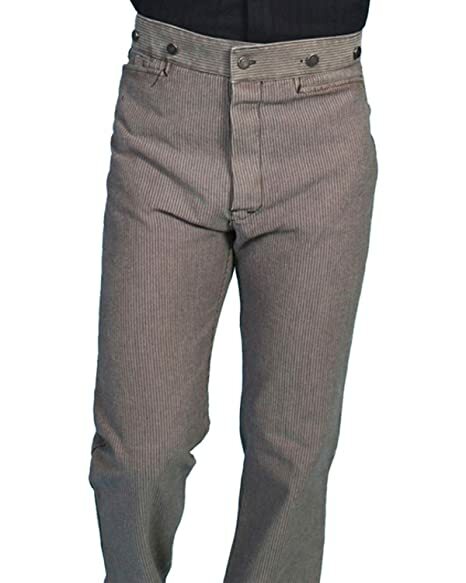 Pants were sold with buttons or suspenders or with belt loops but not both. 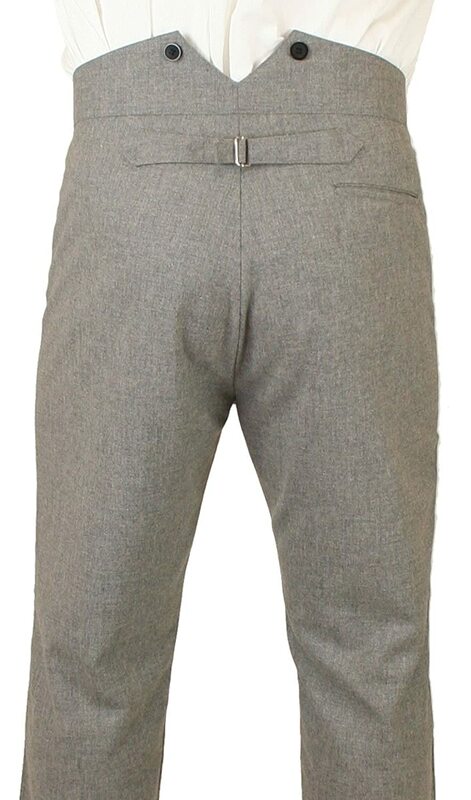 Some pants were designed for neither, leaving it to the man to get the fit of his trousers snug enough for them to stay up. 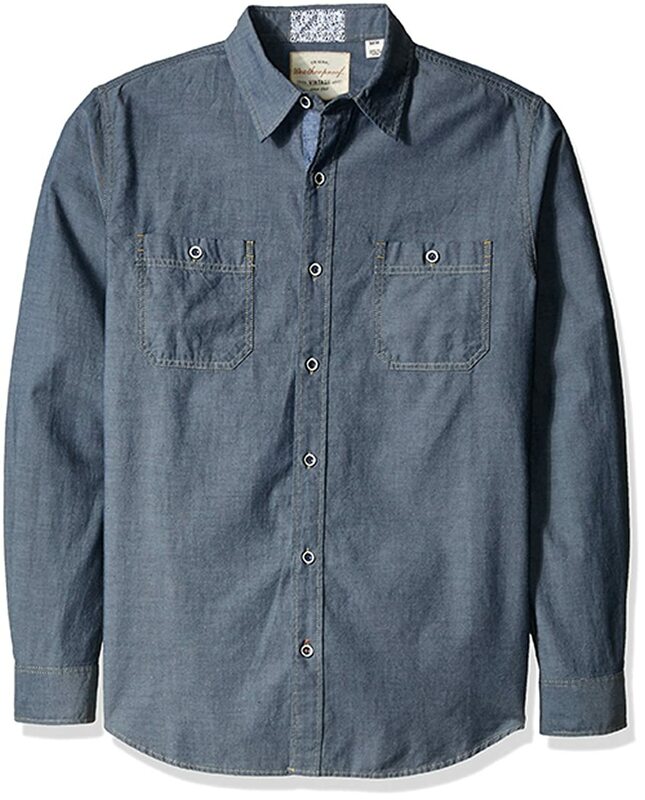 Men’s work shirts had a long placket down the front that ended midway making it a pullover style rather than a full button-down oxford. Collars had large fold-down points or high band military collars and were usually detachable but soft. Many men only attached shirt collars on Sunday to save them from excessive wear. 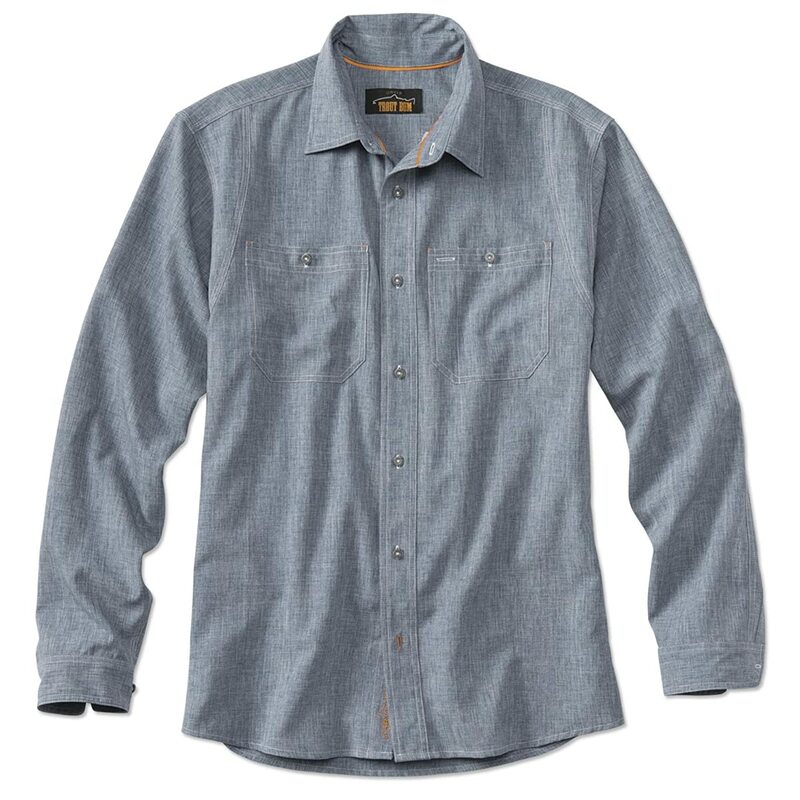 Wool, flannel, and heavy drill cotton made up men’s work shirts. 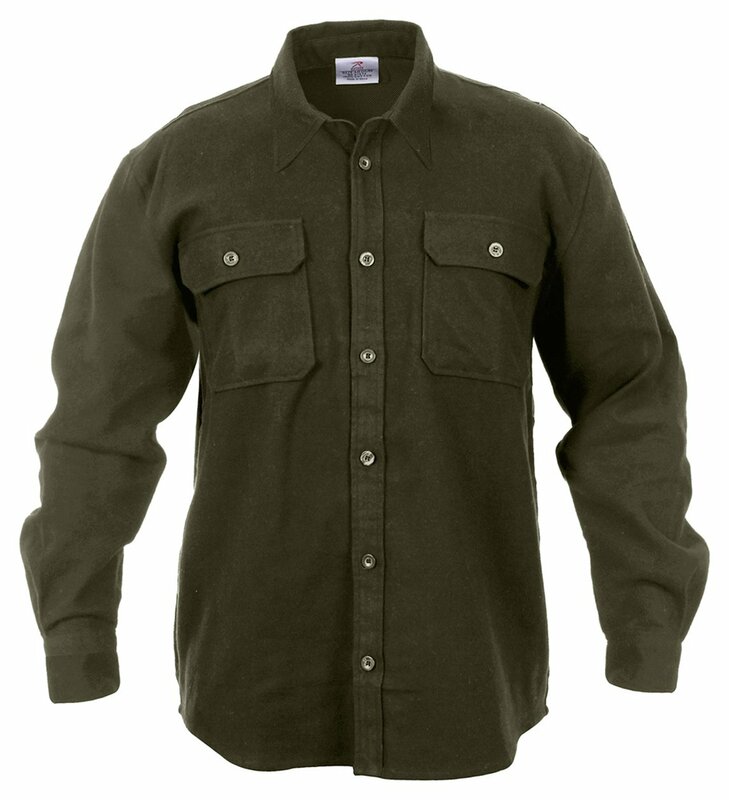 Colors were dark grey, navy blue, black, khaki and brown. 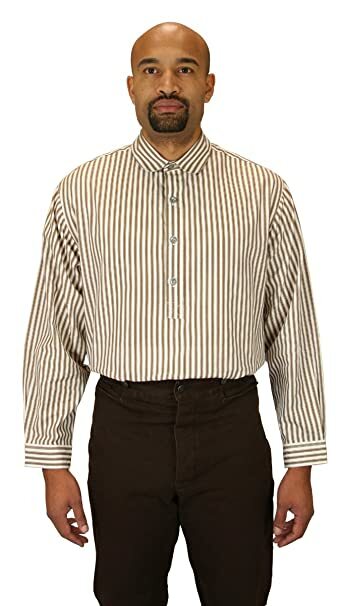 Vertical engineer stripes were worn by railroad men and tartan plaid (Woolen work shirts in red/ black or green/black plaid buffalo) was just becoming an acceptable winter shirt in the later years. A tie was worn by higher-ranking men while labor men went without or wore a thin scarf loosely tied around the neck. 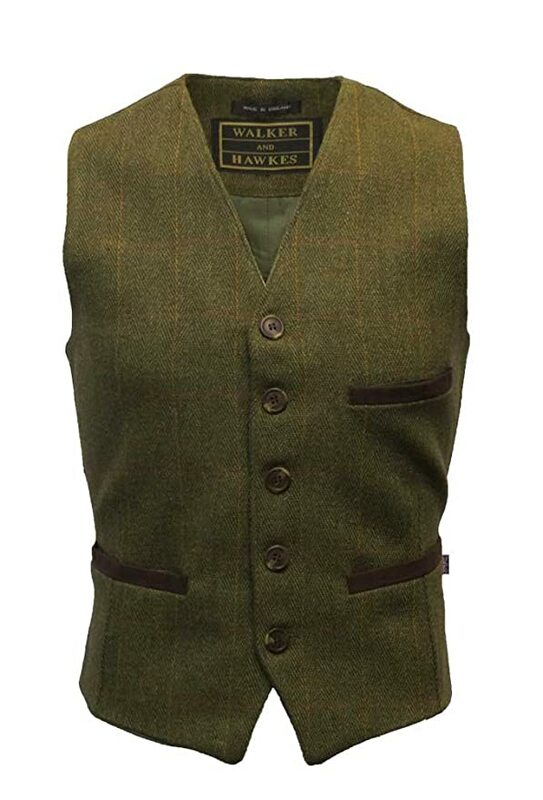 One unique item of a working-class man wore was a full vest. Especially in winter, a wool leather-lined duck cloth or corduroy vest buttoned up high to the neck covering the entire torso. 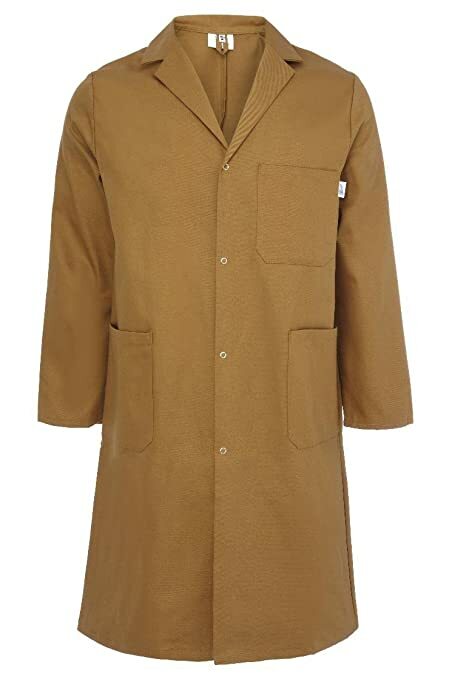 An ample supply of leather jackets and leftover khaki woolen cloth backed vests (called body warmers) after the war started a new trend in men’s vested jackets. 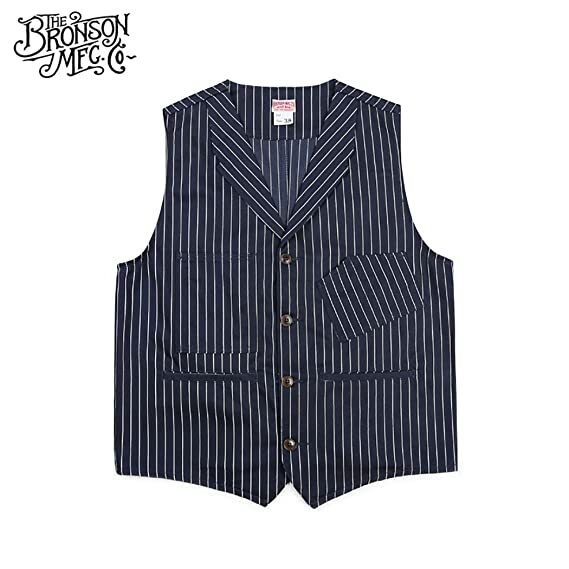 Sleeves were added onto the vests becoming casual yet very warm and affordable jackets for the working class. 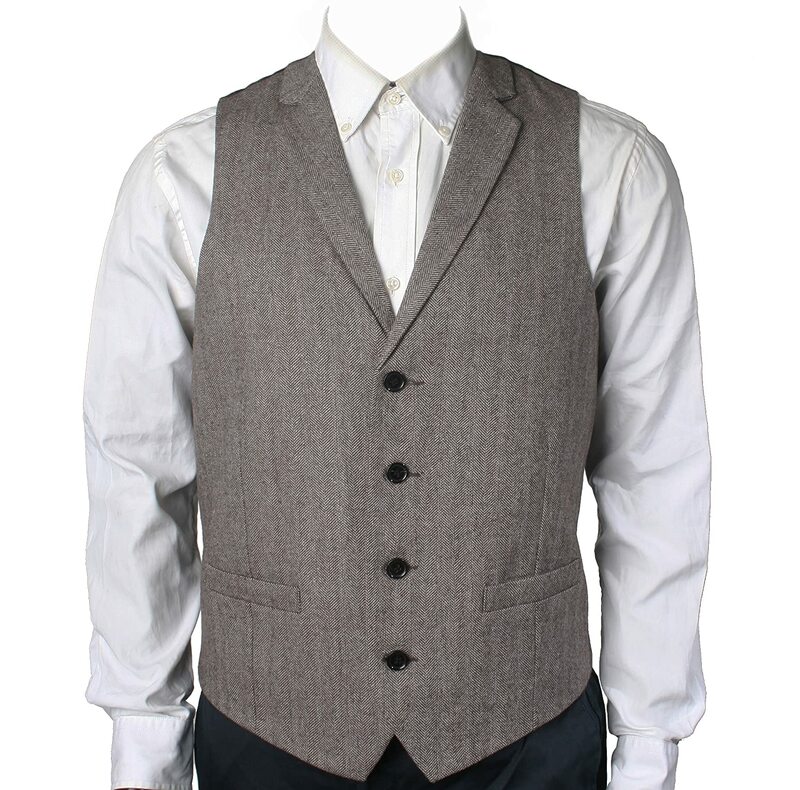 Some upper-class men adopted this vest jacket for sporting clothes. Read about 1910s upper class casual clothing. 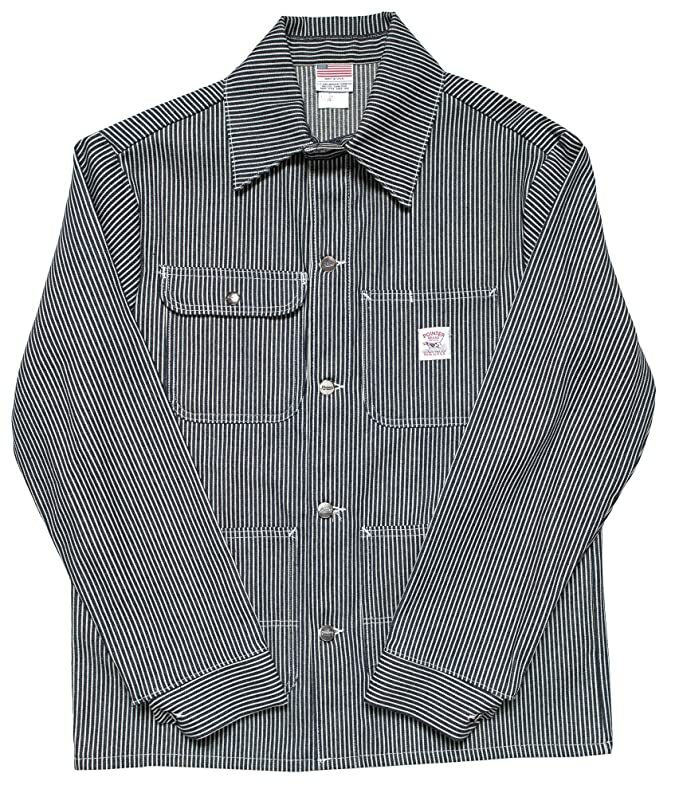 Other working class jackets were lightweight and plain shop coats. Shopkeepers, pharmacists, butchers, barbers and other middle-class class professions required white cloth jackets or aprons to be worn. 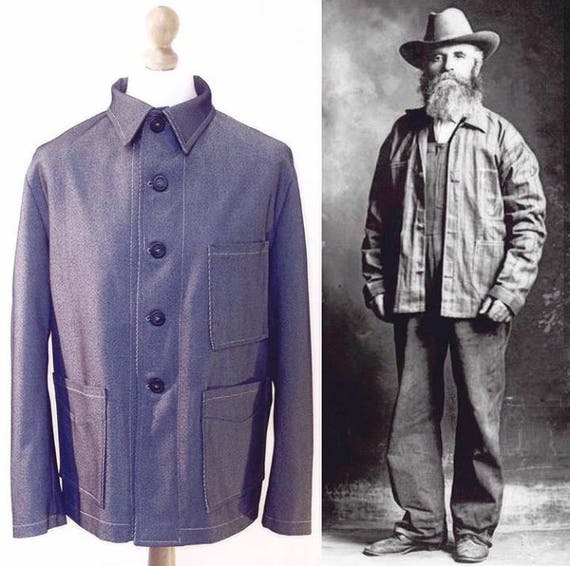 Lower professions wore similar jackets made of denim, wool or cloth in dark colors. In heavy winter conditions, the sheep lined jacket or mackinaw style coat was the preferable choice. Roll neck knit sweaters and cardigan sweater jackets were favored by some men. Fisherman are the well-known wearers of knit sweaters although many other men favored their use. Especially after the war when men were accustomed to military provided sweaters, the wearing of sweaters for workwear grew in popularity. Colors, although still dark, gradually moved into some brighter shades such as maroon, blue, grey, and green. 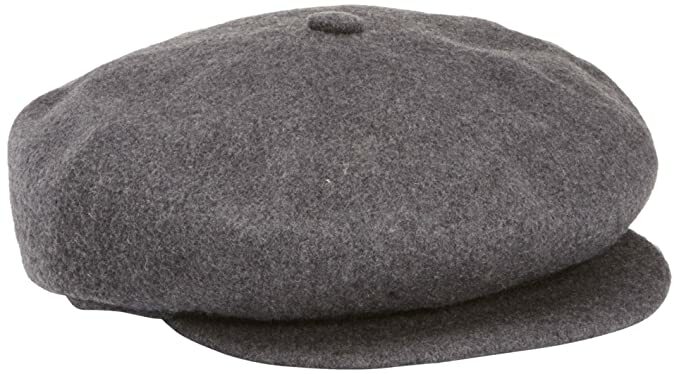 Golf caps, empire caps, or just a “cap” was the most common as well as cheapest style. 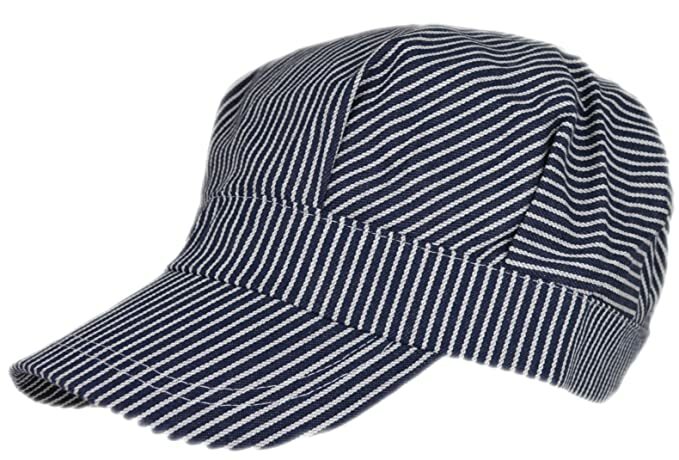 It was sewn with 6-8 triangle panels together and attached to a stiff curved brim. 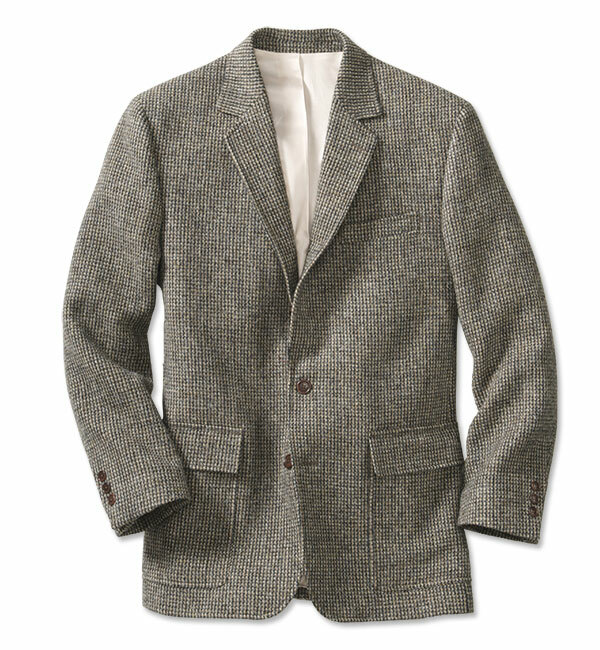 Dark grey, brown and green tweed were among the limited drab colors. In winter, they were lined with heavy cloth or fur with fold-down flaps to keep ears warm. 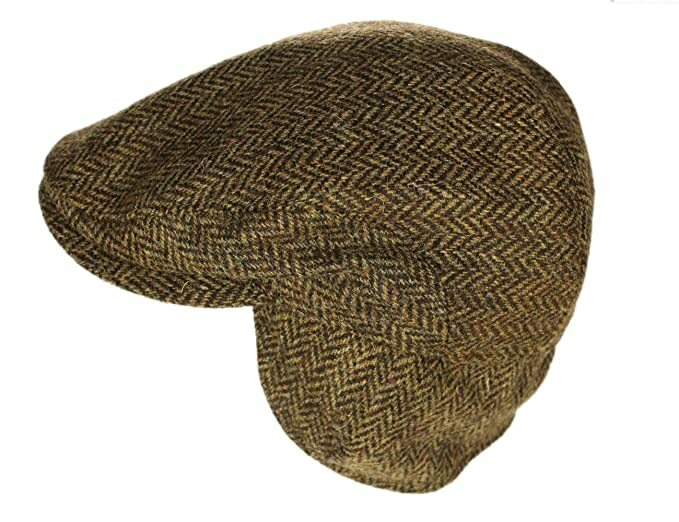 These hats could easily be made from worn out suits and trousers. 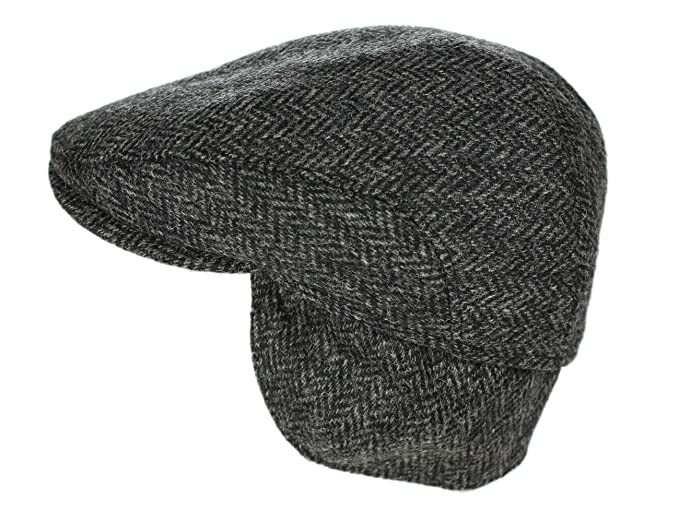 A four-panel golf cap was another option that was less floppy than the 8 panel cap. The back was a bit taller than sloped down towards the front brim. It could also have ear flaps in winter. 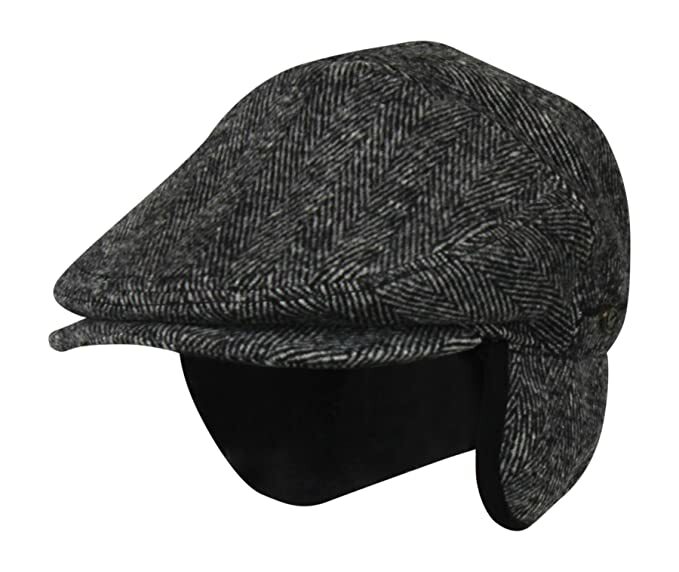 The motor cap, driving cap or hunting cap took on the shape of a four-panel golf cap but was usually made of leather or wool. 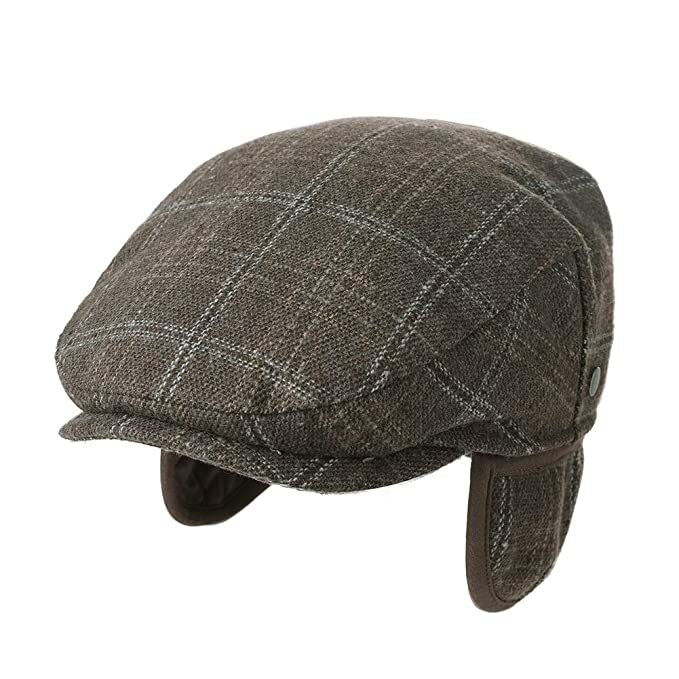 The top was separate from the brim and generally had a rounded crown and ear flaps/neck flap. The Brighton cap also called a Quebec cap, klondike cap or sealette cap had a stiff round crown with a flat top, a strong angled down small brim and two flaps that tied in the front with a bow. Some seamen sported yachting caps in navy blue or white with a black brim. These were mostly reserved for high ranking captains and officials. 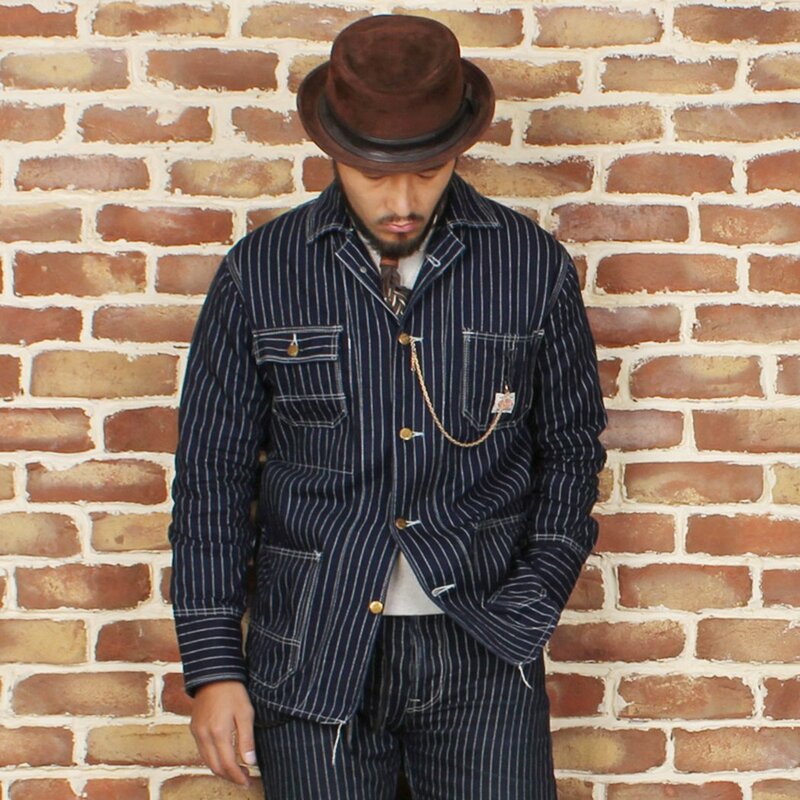 At the end of the decade, a worn out fedora hat could be seen on some working-class heads. By the time a poor man acquired it the hat had lost most of its shape in the crown but the wide brim was a welcome change. 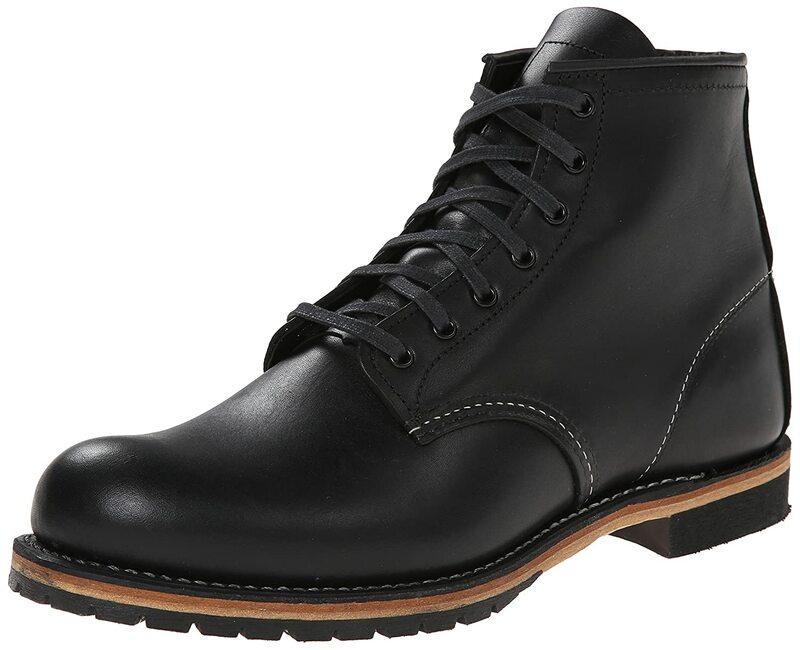 Similar to hats, the selection of men’s workwear shoes was boots, boots, and more boots. 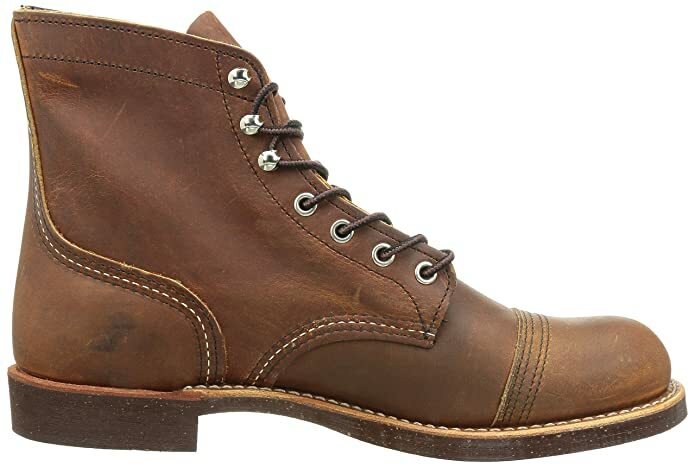 For most light to moderate work or in jobs requiring alot of bending and squatting the just above ankle lace-up boot was the best choice. Similar to gentlemen’s boots they had slightly thicker soles, a wider foot (to accommodate thick socks), and were made of strong oil tanned leather (kangaroo leather was considered the strongest.) 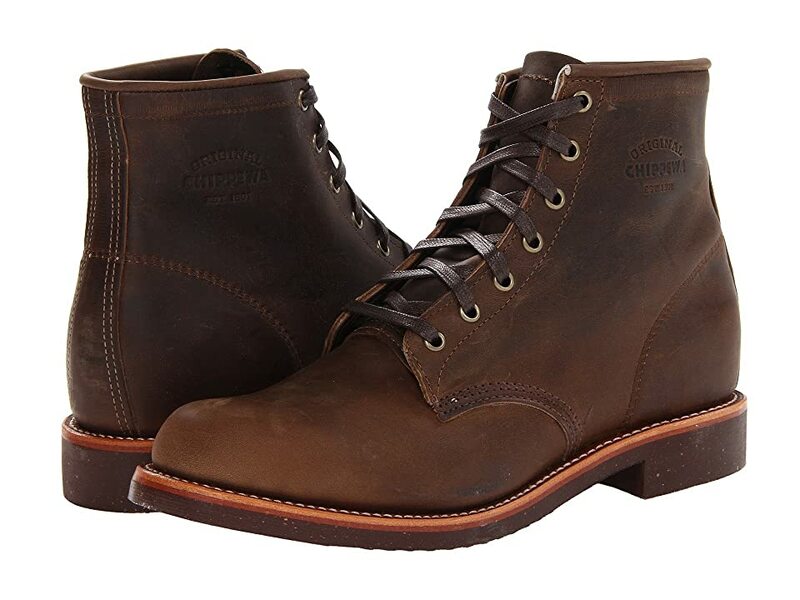 There was also an elastic side panel boot (later called a Chelsea boot) and slip on rain bootie. For outdoor occupations, a tall leather or rubber boot that laced up the front and had two buckles around the calf allowed men to wear trousers tucked into the boot. Depending on how much effort and expense you want to put into your outfit, there are a handful of ways to put together a working-class outfit or costume. 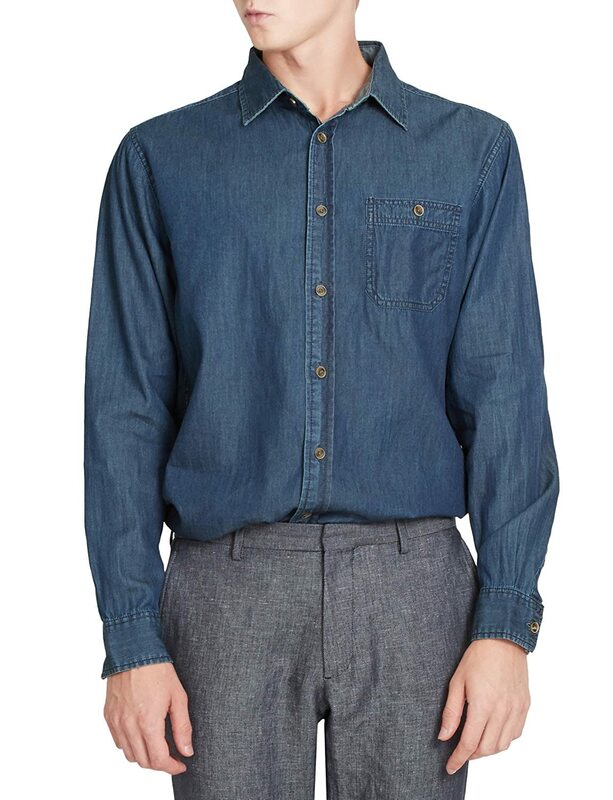 The cheapest option is to pull from your own closet or visit of a thrift store for a pair of worn out work pants (heavy cotton or corduroy is best, denim is ok.) Next add a button down shirt, a vest, and a wool suit coat or sports coat. 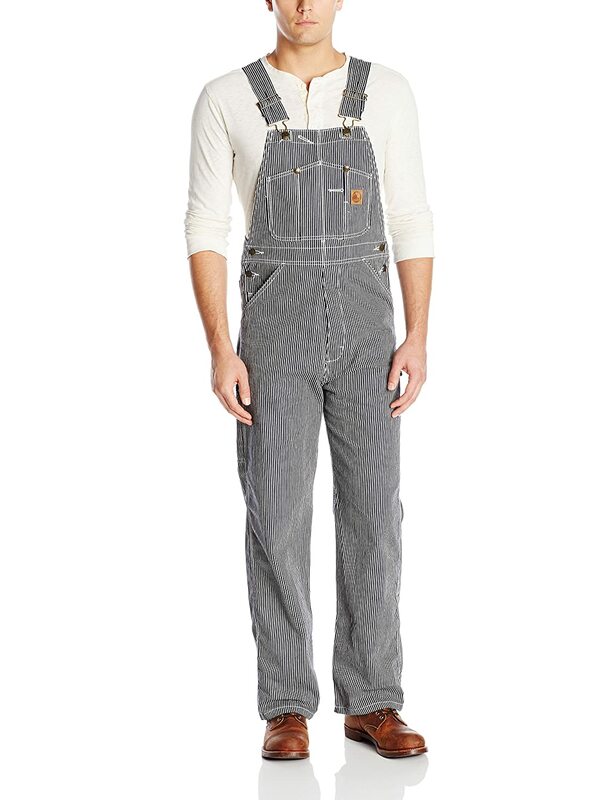 You can also look for simple overalls instead of pants. Add boots and a cap. 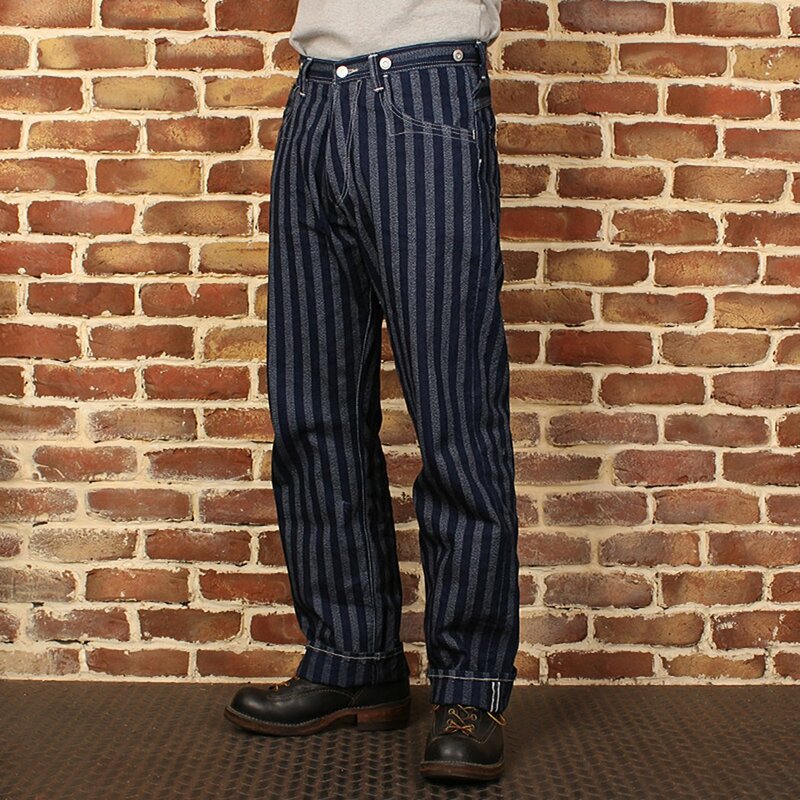 Keep the fit very loose (no slim fitting anything.) To age your new clothing soak them in coffee overnight, roll them around in rocks/dirt/grass or use brown spray paint to dirty them up.